Towards the end of the Regency, book sellers got wise to the fact that books make great gifts and developed a special compilation in an exquisite binding called, "The Keepsake." It was intended for women, had a beautiful, cloth-bound cover, and was a compendium of poems, short stories, illustrations, fashion, and essays--everything a woman would like, all beneath the covers of this special gift book. It sold so well for Christmas that it became an annual staple in bookshops, and a counterpart for men was even published. Sales, even then, decided what books would be supported by a publisher. You don't have to be a book publisher to know that books make a great gift. And if you choose from the hundreds of new inspirational fiction books available at Christian Book or any other bookstore, you know you're giving adventure and romance, or suspense and chills, a mini-vacation, all in one economical gift! That's what I call a wise choice in these days of watching one's pennies. 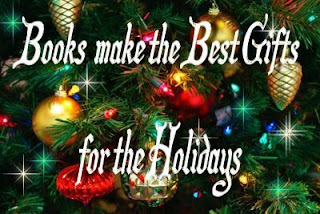 I love to give books as gifts--both fiction and non-fiction--just ask my kids! If I didn't get them books, they'd feel cheated! Give a book or two this Christmas. Be sure to give books of the sort that you would like to support. Publishers today watch, just as they did, then. New Review of "Before the Season Ends" from Publishers Weekly! Now we have it: My Inspirational Regency romance is officially a "tasty confection." And PS to the reviewer: My readers love that "frittering narrative energy!" 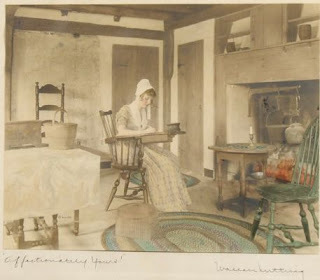 I love this picture--it could be Jane Austen writing at her little desk,or it could be--me! (Imaginatively speaking, of course.) The truth is I sit at a laptop in a study which I have all to myself when I write, except that the door remains mostly open, and my children wander in freely whenever they feel the need. But when I'm writing a Regency, I feel like the writer in this picture. And I like that. I like the simplicity, the lack of clutter, the modesty of her dress, and the fact that she is endeavouring to write while household tasks await. Just like me. And don't forget to sign up for future issues while you're there--it's FREE, and you'll get a free download of an amusing vignette by a 19th century author about living with servants. 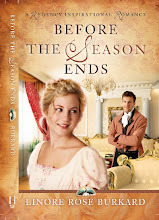 The new release of my Regency Inspirational Romance, Before the Season Ends, isn't "officially" out until December 1st, 2008, but it's available for pre-order NOW. Cool! (Need I say that it makes a fabulous birthday or Christmas gift? And by pre-ordering, you get the special discounted price given by the publisher LOCKED IN. That means, even if the price goes up before the release date, you don't pay a penny more than your pre-order price. Click here: The House In Grosvenor Square. (Notice I said, "temporary cover"? Can you see the mistake on the book cover? There are two things that are going to be changed, in fact, two inaccuracies. 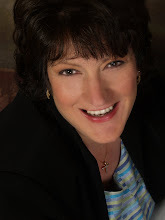 Watch for my next ezine for a contest to see who can spot them before they're changed by the publisher! What do Beethoven, Mozart, Salieri, Rossini, Paganini and Moscheles have to do with the Regency? Or Donizetti, Mayr, Chopin and Gluck? Aside from the fact that all these men were master musicians and composers, they all lived into or past the Regency. Their music, in most cases, might have been well known to a Regency miss or buck of the day. Furthermore, though they may not have lived in England during the period, they sported the same Empire or Regency style of dress, which I compiled and put into my last e-zine issue. Upon My Word! It's an Ezine about the Regency! I couldn't call this my Regency blog if I didn't mention my monthly e-zine. In case you aren't already signed up to get it, Upon My Word! is always chock-full of Regency fun, fashion and facts that you'll want to see! Hop on over to my website and enter your email: that's all there is to it! You'll get a welcome email with a free downloadable ebook, as well as a once-a-month glimpse at Regency England in the ezine. The January issue is available on the site for downloading, and future issues will be sent right to your inbox. Go here: and sign up now! Care to see an issue before subscribing? You'll get a taste of what's in store. Get January's fully illustrated issue here!. Or check-out the December issue: Here. Every issue includes a free download--get yours now! Subscribe today while it's still free! Click here. See the Regency Christmas Blog! Regency House Christmas: The Definitive Guide to a Remarkably Regency Yuletide! New Edition from Harvest House Publishers coming in '09!